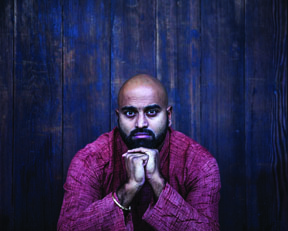 Winner of the 2015 AWP Intro Journal Award and the 2014 Intro Prize in Poetry by Four Way Books, and recipient of a PEN/Heim Translation Fund Grant, Rajiv Mohabir received fellowships from Voices of Our Nation Arts Foundation, Kundiman, and the American Institute of Indian Studies language program. He received his MFA in Poetry and Translation from Queens College, CUNY where he was Editor in Chief of the Ozone Park Literary Journal. A PhD candidate at the University of Hawai’i, he currently lives and teaches poetry and composition in Honolulu.